Bangkok: Thailand will have every chance of having an impact at next month's AFC U-23 Championship in Qatar after coach Kiatisuk Senamuang named a host of senior stars in his 23-man squad. BEC Tero Sahara playmaker Chanathip Songkrasin, Buriram United defender Narubadin Weerawatnodom and Muangthong United midfielder Thitiphan Puangchan are some of the established names that have been given the nod, and will all be expected to play key roles in the War Elephants' bid for success at the tournament. 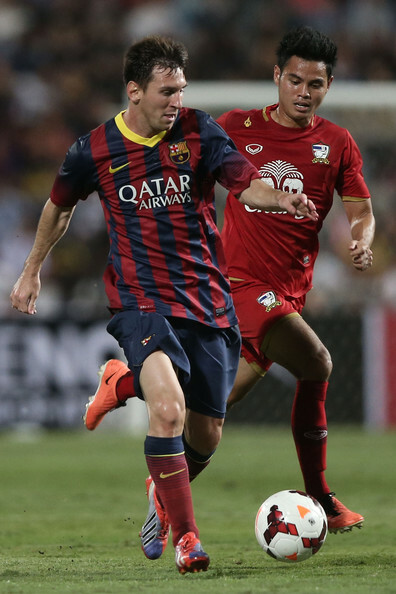 Besides Chanathip, nicknamed "the Thai Messi", and Narubadin, widely regarded as the best right-back in the country despite still being only 21, the likes of Tanaboon Kesarat, Peerapat Notechaiya and Adisorn Promrak were also key members of the senior side that were crowned champions of Southeast Asia last year with their triumph at the 2014 AFF Suzuki Cup. Although the Thais are not one of Asian football's heavyweights in recent times, they could prove to be dark horses given the success they have had since Kiatisuk took charge in 2013. Apart from the senior team's Suzuki Cup victory, the Under-23s also finished fourth at last year's Asian Games in Incheon, and cruised to the Southeast Asian (SEA) Games gold medal earlier this year. Other names that could be influential for the War Elephants in Qatar are Police United forward Pinyo Inpinit, midfielder Pakorn Prempak and BEC Tero striker Chenrop Samphaodi.